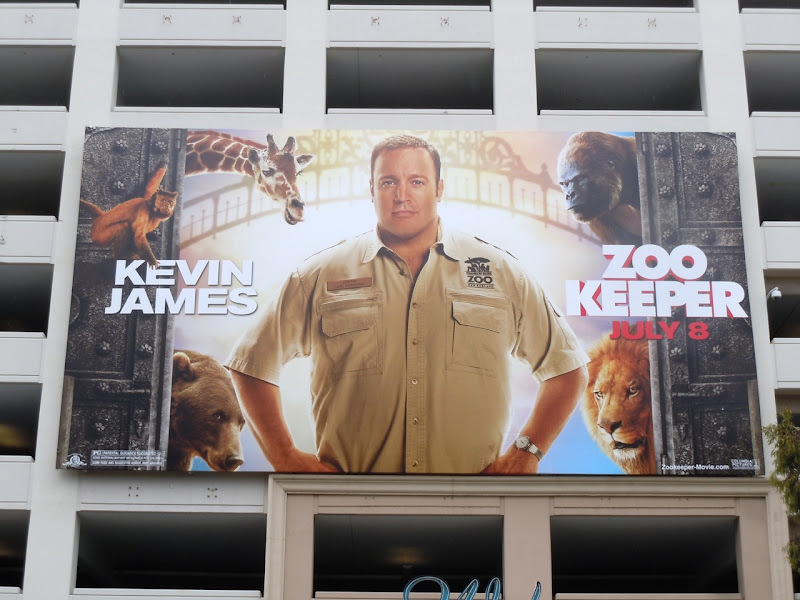 We've already had comical penguins this week, so now's the turn of talking animals in Kevin James new comedy, Zookeeper. 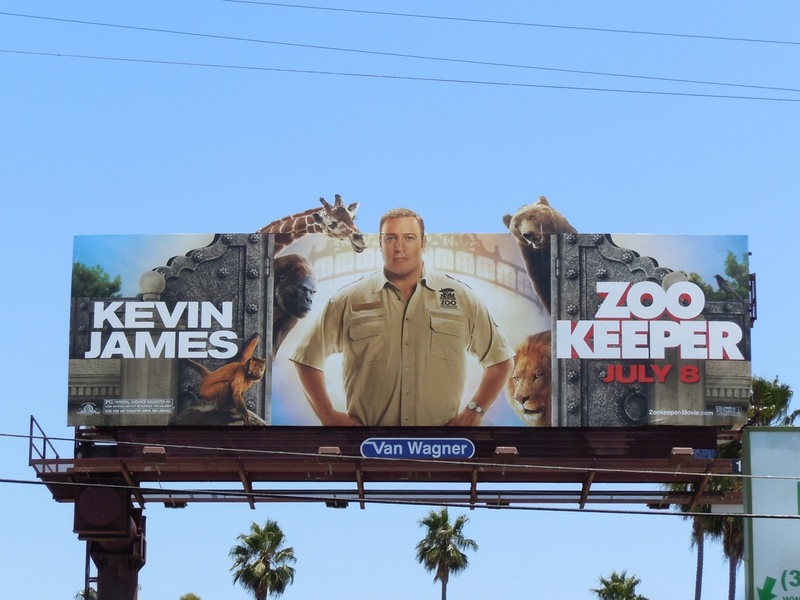 There really is no mistaking what this film is about, the billboard successfully communicates the movie's premise at a quick glance. 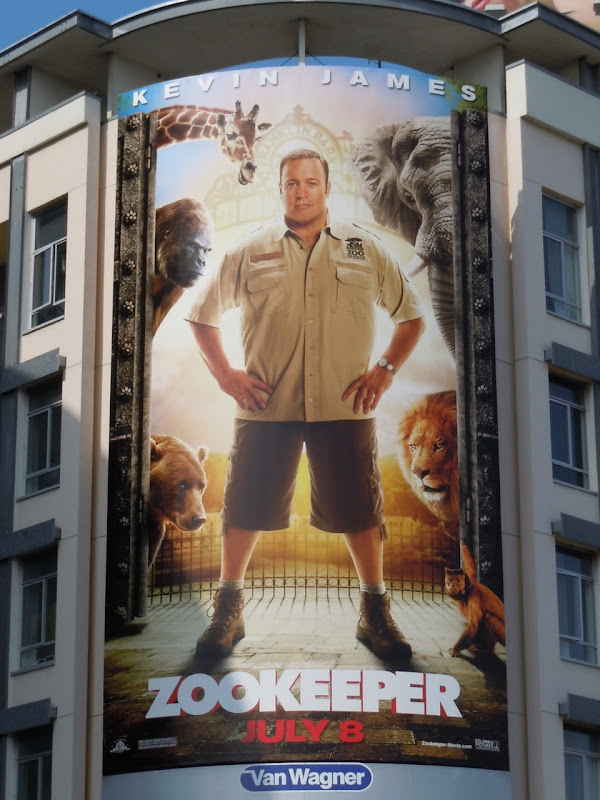 This movie billboard first appeared at The Grove shopping centre in L.A. on May 17, whilst the creative with the giraffe and bear popping out the top in a special extension was snapped along Sunset Boulevard later in June. The tall, full body version was photographed at Sunset & Vine and on June 9, 2011.